E-rate Timelines for Funding Years 2018 and 2019. Click images to see full size. 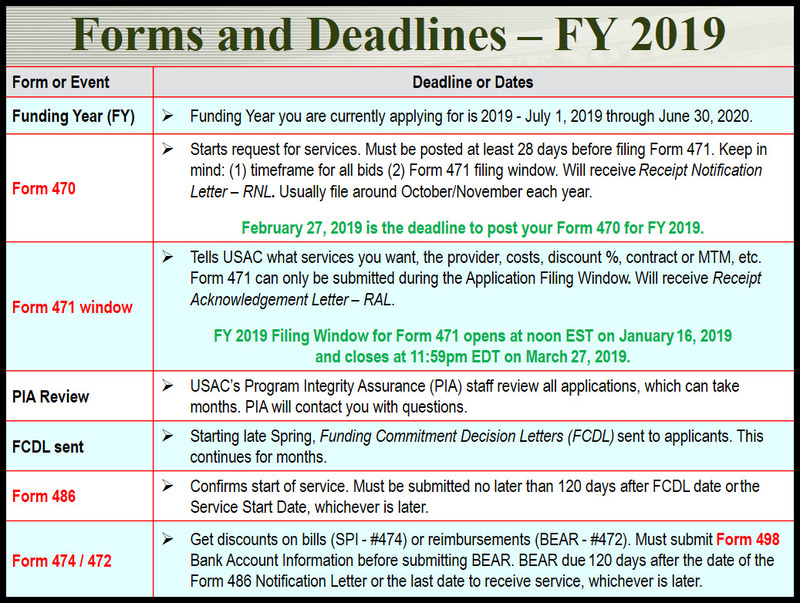 1/16/19 - E-rate Form 471 Application Filing Window Now Open - FY 2019 Filing Window opened on January 16, 2019 and closes on March 27, 2019. E-rate: What's New for 2019? - Recorded online session and presentation slides. E-Rate Productivity Center (EPC) - account and application management portal for the E-rate program. As of Funding Year 2016, most forms submitted via the EPC. Toward Gigabit Libraries Broadband Toolkit - learn about your broadband infrastructure and IT environment. FSCS Code - look up your library's FSCS ID Number - choose the 'Central Library' entry, marked with a . 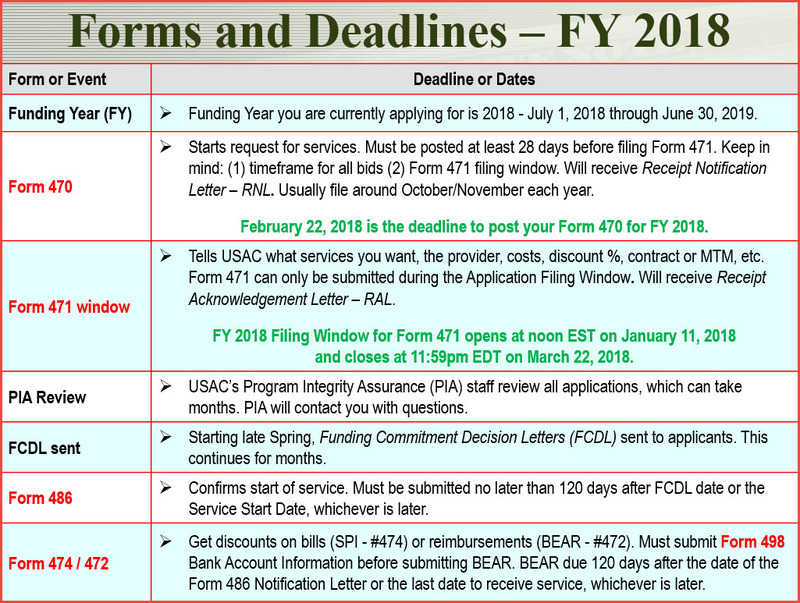 Form 472 - Billed Entity Applicant Reimbursement (BEAR) Form - to receive reimbursement after you have paid your bill; submitted by applicant. Get a DUNS number - if your library doesn't already have one. Form 474 - Service Provider Invoice (SPI) - to receive the discount on your bill; submitted by service provider. As of Funding Year 2015, Technology Plans are no longer required for E-rate. This information is still provided for previous years, and anyone needing a Technology Plan for other purposes.